For a long time, my buddy, Jake, was someone I talked to pretty much every day. I did some trades with him early in my time on Instagram, but as time went on, Jake outgrew collecting cards, then went off to college. I've missed talking to him like we used to. Jake messaged me out of the blue recently, and asked for my address. He surprised me with this Buck Showalter auto inscribed to me. I really appreciated the gesture from Jake. It was really great that he still thought of me. I am glad to see how he has grown and become an awesome young man. Thanks so much, Jake. It means a lot to me that you thought of me. 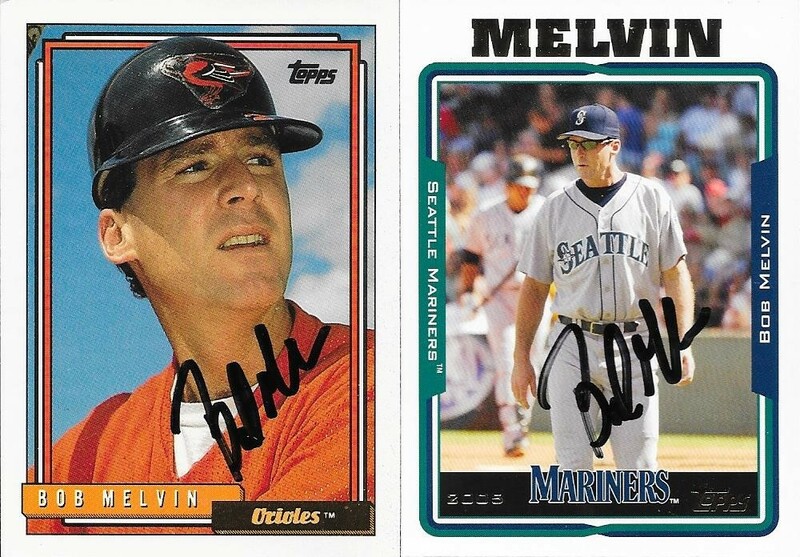 I added a really great TTM success to my collection with this return from Davey Johnson. 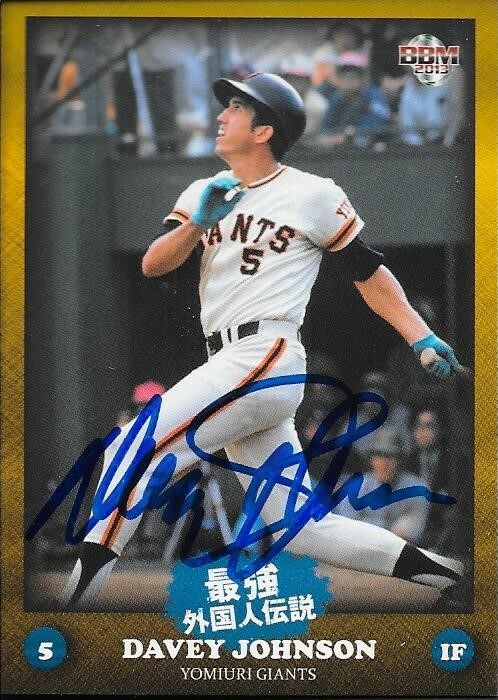 I was really glad that I got the above Japanese card signed, since I had gotten it from my friend, Ryan. I also got these cards signed. 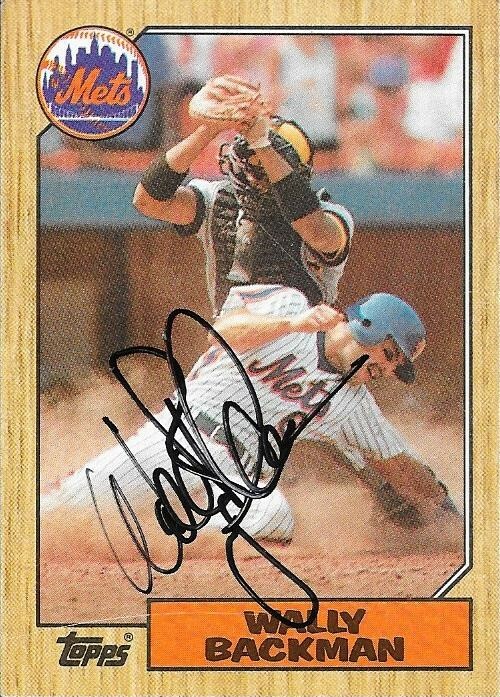 Of course, I had to get the 1987 Topps signed for the set, and I figured I would get the Mets leaders card signed. Johnson (b. 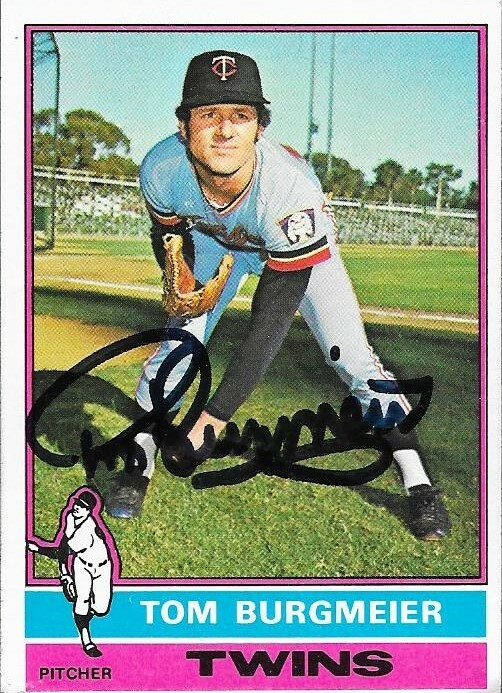 1943) played in the majors from 1965 to 1975 and 1977 to 1978 for the Orioles, Braves, Phillies and Cubs. He had 1,252 hits, 136 home runs and a .261 batting average. 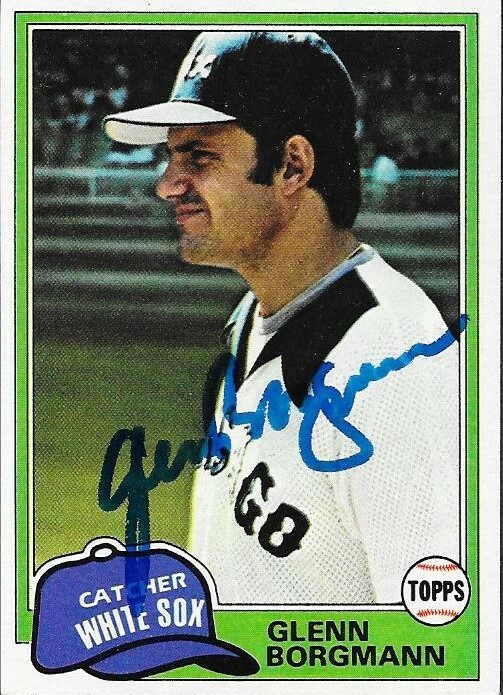 He was a three-time Gold Glove Award winner (1969, 1970 and 1971) and was a four-time All Star (1968, 1969, 1970 and 1973). His best MVP finish was 13th in 1973 (NL). He won the World Series in 1966 and 1970. 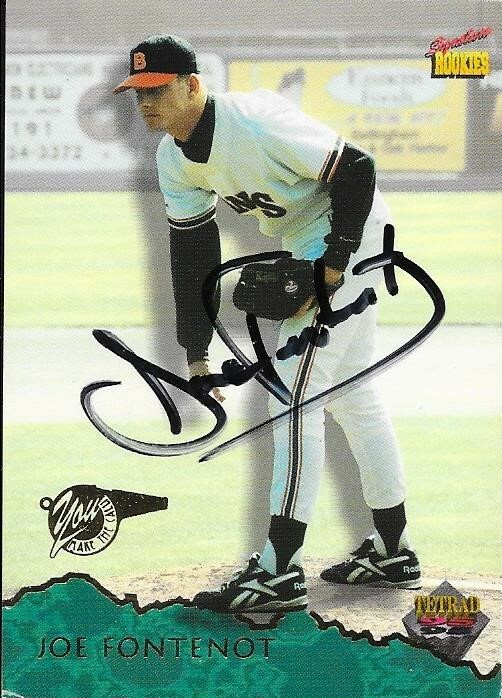 Johnson managed in the majors from 1984 to 1990 (Mets), 1993 to 1995 (Reds), 1996-1997 (Orioles), 1999-2000 (Dodgers) and 2011 to 2013 (Nationals). His career managerial record is 1,372-1,071 (.562 win %). He won the World Series with the Mets in 1986. I mailed to Johnson on March 19 and got the cards back on April 7, for a 19-day TAT. I paid a fee of $5/card. My buddy, Gerard, hooked me up with a few more signed cards for the album. 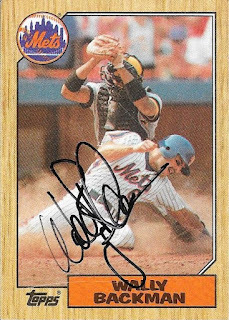 This Wally Backman was one I needed for my 1987 set. I had sent to him TTM, but haven't gotten my cards back. 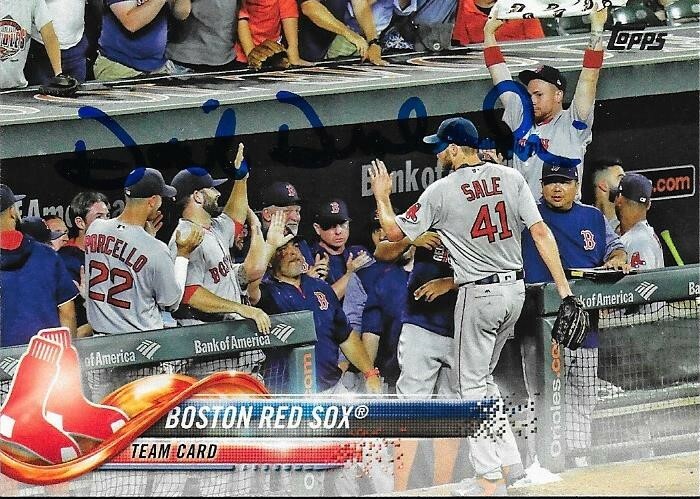 Gerard added a 2018 Topps to my set with this Red Sox team card signed by Dave Dombrowski. 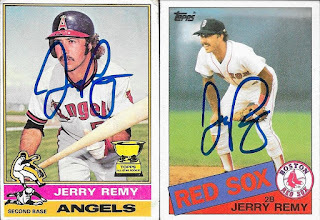 Finally, Gerard got these two Jerry Remys signed for me. They both turned out great. Thanks for the cards, Gerard. 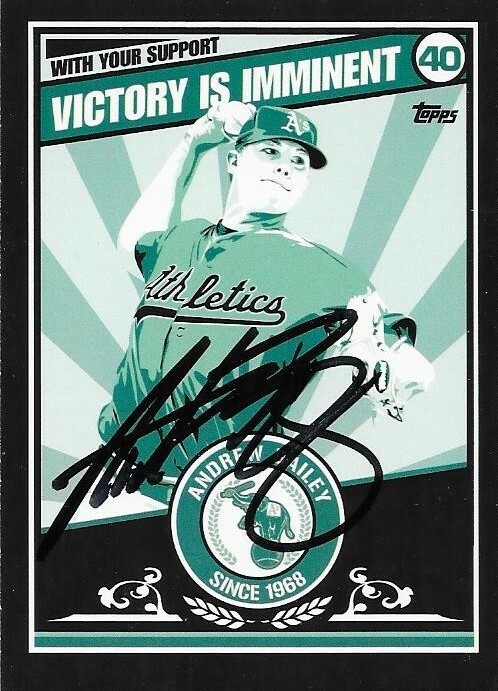 I was excited to get this TTM success back from Andrew Bailey because I really wanted to add one of these 2009 Topps Update propaganda poster cards to my autograph album. The card turned out really nice, and yes, it does look great in my album. 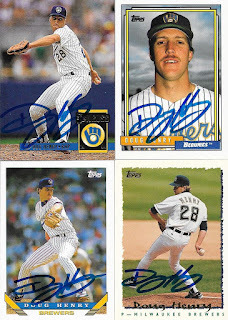 I also got three different 2010 Topps cards that feature Bailey signed. I thought it was pretty cool to get each of these done. Bailey (b. 1984) played in the majors from 2009 to 2013 and 2015 to 2017 for the A's, Red Sox, Yankees, Phillies and Angels. 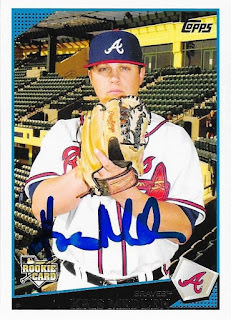 He had a career record of 13-13 with 95 saves, 276 strike outs and a 3.12 ERA. He was a two-time All Star (2009 and 2010) and the 2009 AL Rookie of the Year. I mailed to Bailey on February 27 and got the cards back on April 7, for a 39-day TAT. I finally was able to get up with my good friend, Dugan, recently, and picked up the cards he had been holding for me for almost a year. For whatever reason, we just couldn't connect on making the handoff, but when we finally did, it was a really nice package of cards. I had completely forgotten that I sent him this Kevin Maitan to get signed for me, but he came through. I was pleasantly surprised when I opened the package and saw the card. Dugan got some other cards signed for me when Norfolk came through Durham. I'm not sure where he got the Jay Gibbons, but I was glad to have that as well. 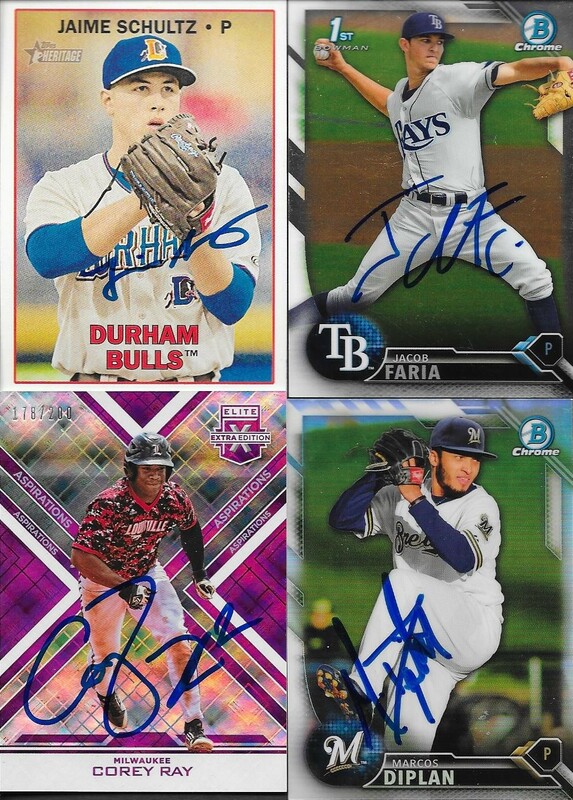 The Corey Ray and Marcos Diplan were from July 4th last season, and finally got back to me. Dugan and I had to work out the time gap in between, but in the end, it all worked out. I'm glad he and I are friends, and I hope to catch some more games with him. 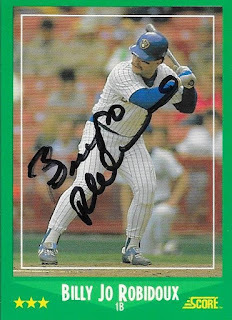 Here is another card for my 1987 set that I got back signed from Ken Phelps. I was disappointed to see that Phelps will sign only one card, mainly because I had a stack of other Topps cards I wanted to send. The 1987 was a priority, so I wanted to make sure it got done. Phelps (b. 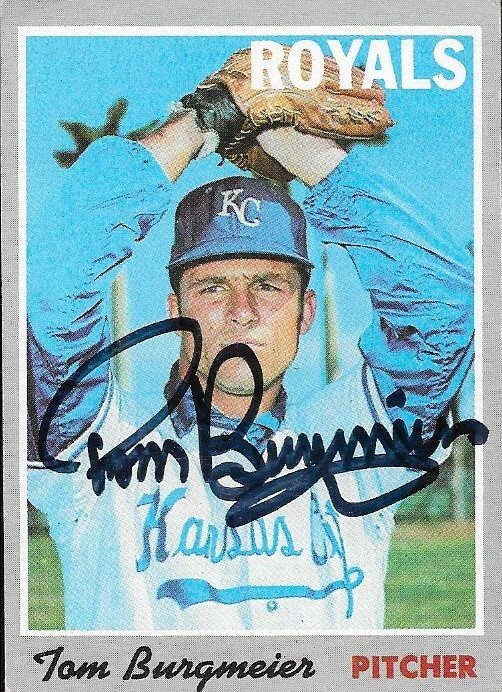 1954) played in the majors from 1980 to 1990 for the Royals, Expos, Mariners, Yankees, A's and Indians. He had 443 hits, 123 home runs and a .239 batting average. He won the World Series with the A's in 1989. I mailed to Phelps on March 21 and got the card back signed on April 6, for a 16-day TAT. During the Carolina League season, all northern division teams come down to the Wood Ducks only once per season, with the exception of one team. Last season, the Wilmington Blue Rocks came twice; this season, the Frederick Keys are coming twice. 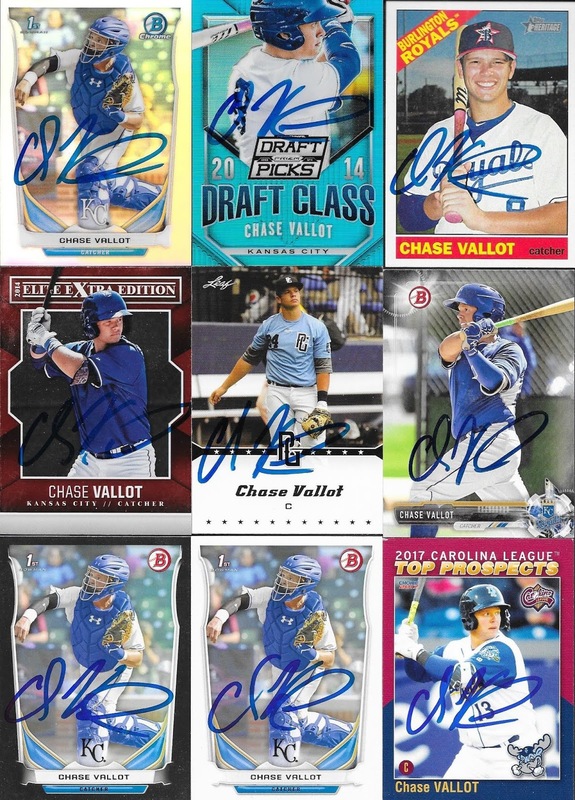 Last season, I missed Chase Vallot both series, so I really wanted to make sure that I got him this time around. I had a whole bunch of cards that I wanted to get signed, and I was successful! I really wanted to try to get one of the Carolina League Top Prospects cards done, since I have been sitting on them since last year. 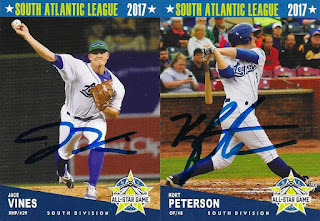 I picked up a 2017 South Atlantic League All Star set from last year when I went to Columbia a couple months ago. I was able to get these two cards done. Khalil Lee was probably the Royals' biggest prospect on the team this season, so I was glad he was very friendly and signed everything I had. Bryan Brickhouse was also really nice. He is from North Carolina, so we talked about that for a bit outside after one of the games. I didn't realize how many Blue Rocks had cards until this series. They seemed to have quite a few guys with cards, which I really enjoyed. I was able to get almost everything I had done. I also took some 50/50s for the series, and was able to get most of them done, which is always great. 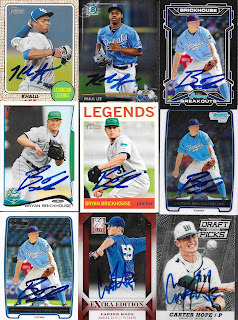 Even better, I was able to get some older Topps cards out of my boxes, and get them signed. I had a bunch of Doug Henry, but was only able to get him one time during the series. He didn't seem all that thrilled about signing, so I didn't want to bother him. Another person I missed last season was Abraham Nunez. 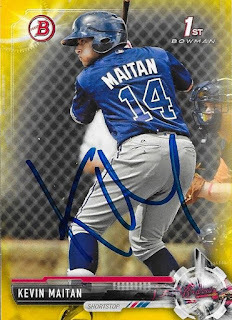 I had these cards in my box waiting for the Blue Rocks to come back, and I didn't miss him this time around. I finally got some new Wood Ducks stuff in, as well. 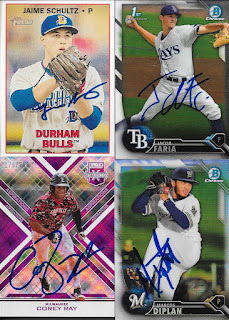 One of the 50/50s I took gave me the blue refractor of Anderson Tejeda, and I also had gotten in my 2018 Pro Debut boxes. I have some games coming up, so I should be able to have a great many cards to show off in the coming weeks. 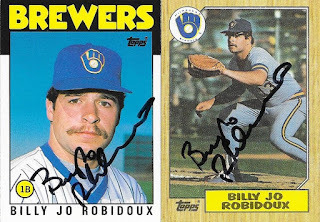 Billy Jo robidoux was one of those players, who when you pulled one of his cards, you went, "cool name!" At least I did. I saw that he signed TTM, so I sent to him so I could add a 1987 Topps to my set. I also added this nice 1988 Score, which looks really great. I also sent along this 1986 Topps Traded, along with the 87, of course. Robidoux (b. 1964) played in the majors from 1985 to 1990 for the Brewers, White Sox and Red Sox. He had 98 hits, 5 home runs and a .209 batting average. 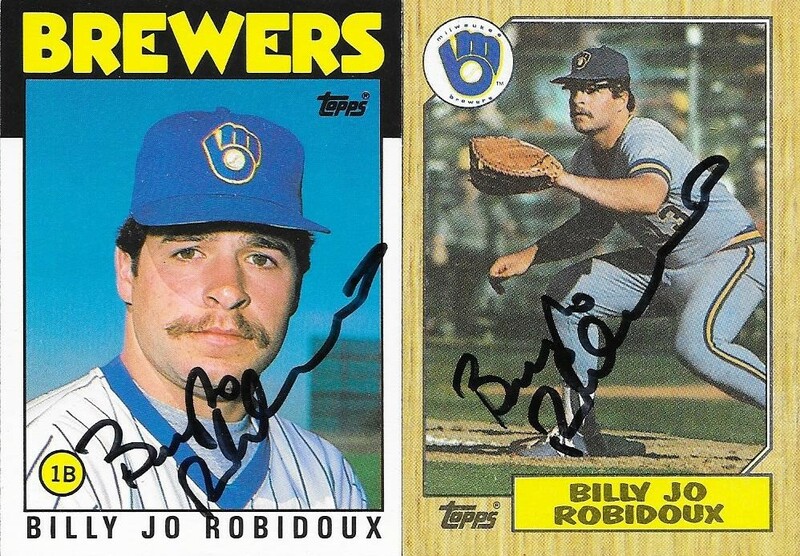 I mailed to Robidoux on January 22 and got the cards back on April 5, for a 73-day TAT. 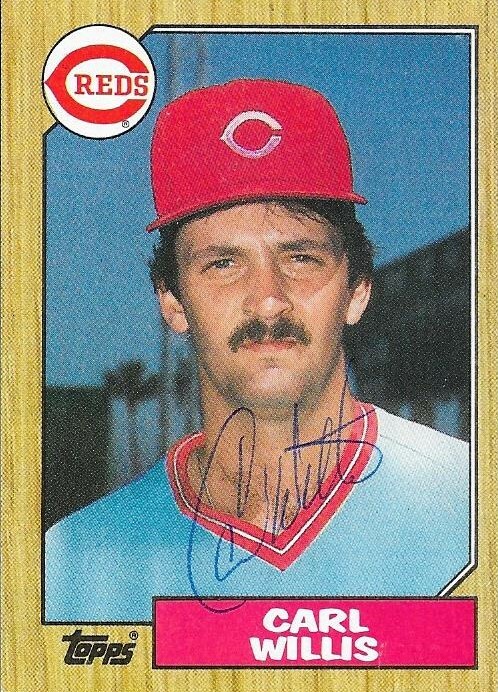 I added another card to my 1987 set with this success from Carl Willis. 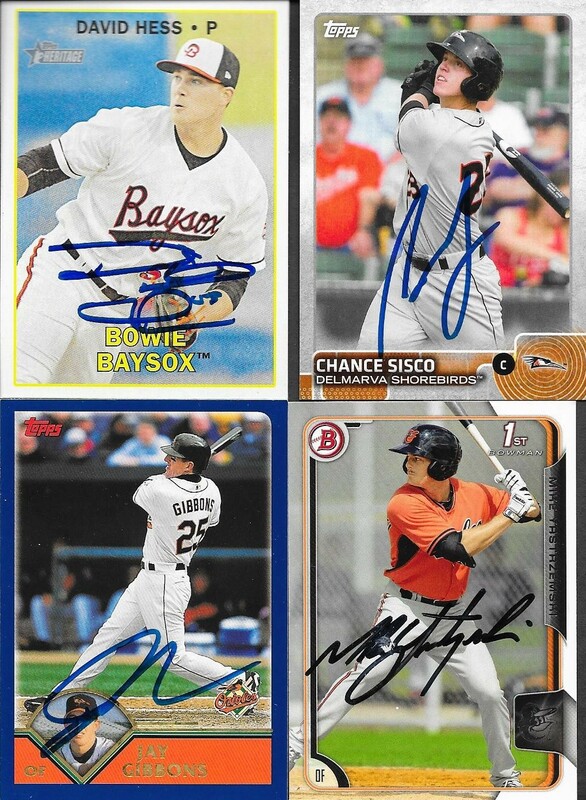 He signed the cards that I sent in a ballpoint pen, and the signature is tough to make out on a few of the cards, but they count toward my collection, and I am just happy to have gotten them back. 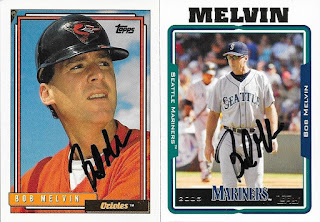 I got these three cards signed as well, and the 1995 Topps (middle) really doesn't show the auto. Oh well. Willis (b. 1960) played in the majors from 1984 to 1986, 1988 and 1991 to 1995 for the Tigers, Reds, White Sox and Twins. He had a career record of 22-16 with 222 strike outs and a 4.25 ERA. He won the World Series with the Twins in 1991. I mailed to Willis on February 22 and got the cards back on April 5, for a 42-day TAT. 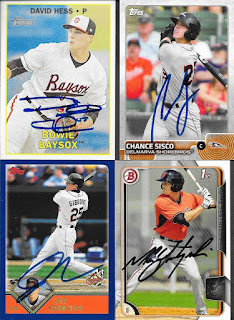 Here is a Spring Training TTM success that I was happy to see come back. 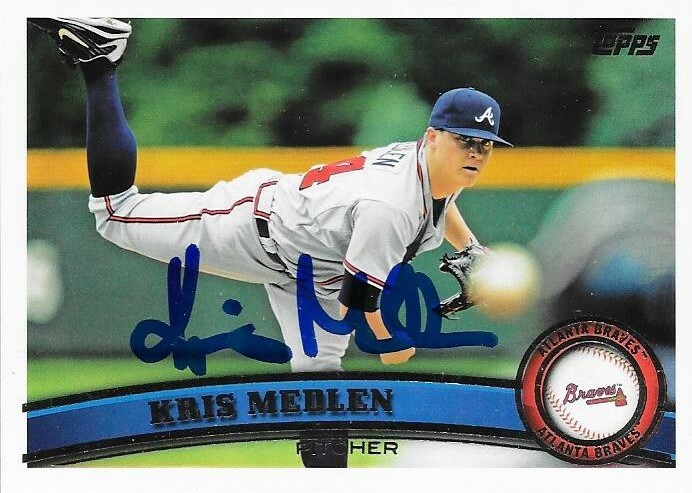 I had this 2014 Bowman silver paper parallel of Kris Medlen that I wanted to add to my album, so I sent to him at Spring Training. He ended up being released, so it was good that I sent when I did. I also added a few recent Topps issues that needed representation in the albums. 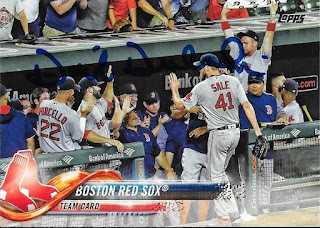 This 2009 Topps turned out really well. 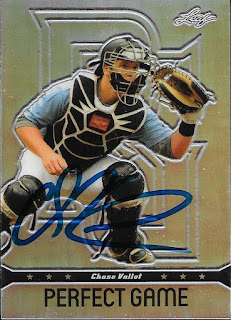 I also liked this 2011 Topps, especially with it being a horizontal card. Medlen (b. 1985) played in the majors from 2009 to 2013, 2015, 2016 and 2018 for the Braves, Royals and Diamondbacks. He had a career record of 41-26 with 496 strike outs and a 3.33 ERA. He finished 20th in the 2012 NL MVP voting when he went 10-1 with a 1.57 ERA across 50 games. I mailed to Medlen on February 10 and got the cards back on April 5, for a 54-day TAT. 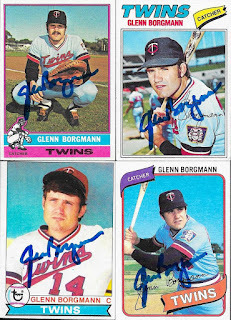 Still way behind on posting my TTM successes, so here is another, Glenn Borgmann. I got a few cards from the 1970s and a couple from the 80s with this success, so this was nice. 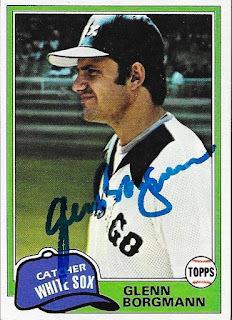 I always enjoy getting 1975 Topps done, and this one looks better. 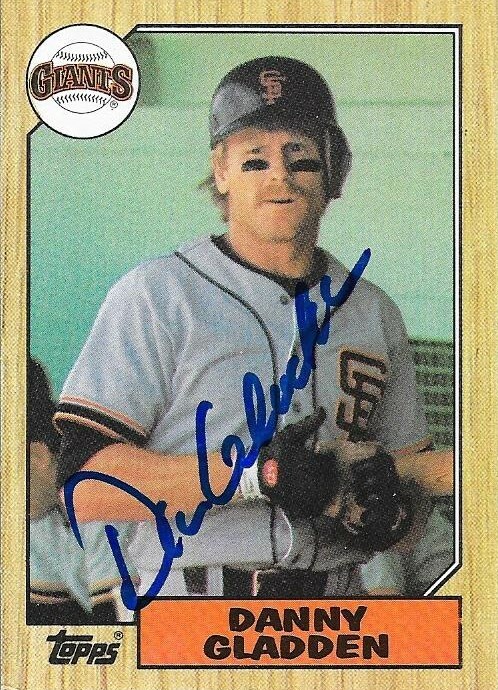 Another 1981 Topps was added to the album. 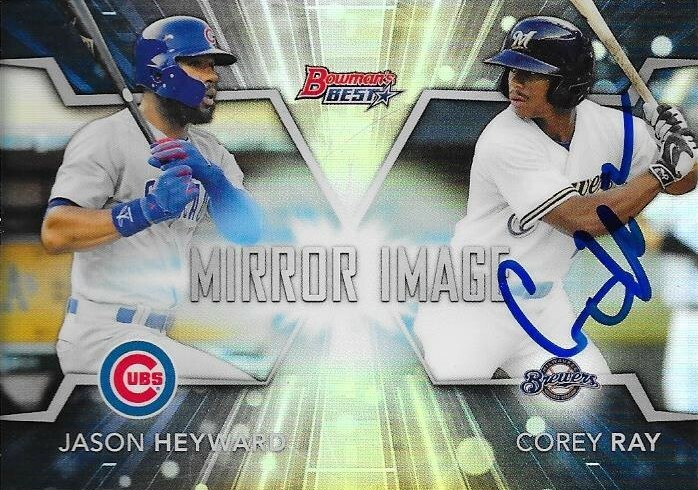 This is a nice card, and I enjoy adding the 81s to the album. I have a bunch of them, but am not really pursuing the set since I am busy with 1987. 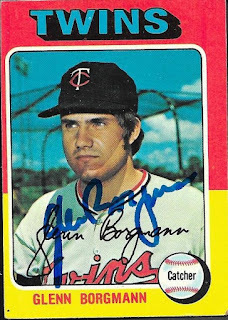 I had a bunch of Borgmann's cards, and he was nice enough to sign everything that I sent. Borgmann (b. 1950) played in the majors from 1972 to 1980 for the Twins and White Sox. He had 296 hits, 16 home runs and a .229 batting average. 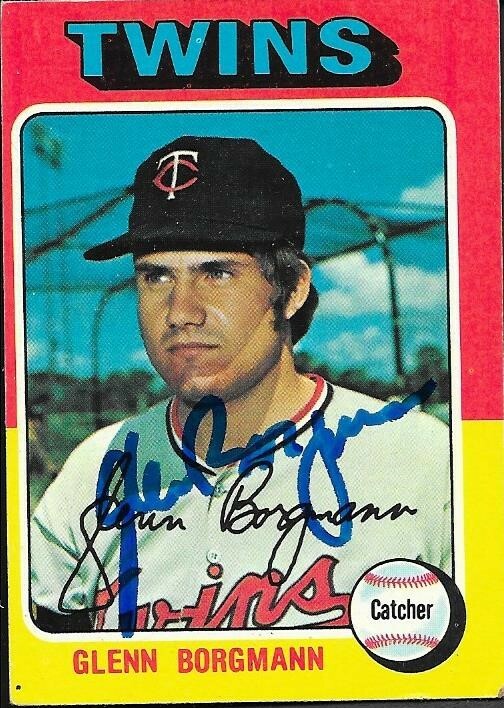 I mailed to Borgmann on March 20 and got the cards back on April 4, for a 15-day TAT. 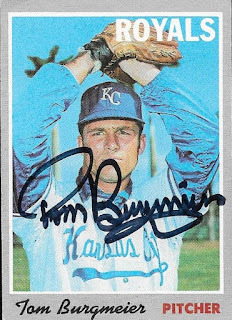 Some more vintage cards were added to my autograph album recently with this success from former pitcher, Tom Burgmeier. I liked this 1970 Topps, so that is what spurred the idea to write to him. I also had this 1976 Topps, so it went along for the ride, as well. Burgmeier (b. 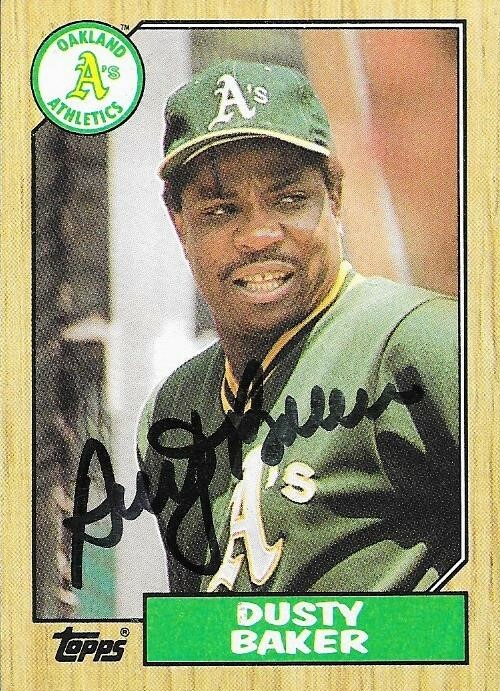 1943) played in the majors from 1968 to 1984 for the Angels, Royals, Twins, Red Sox and A's. He had a career record of 79-55 with 584 strike outs and an ERA of 3.23. He was an All Star in 1980. 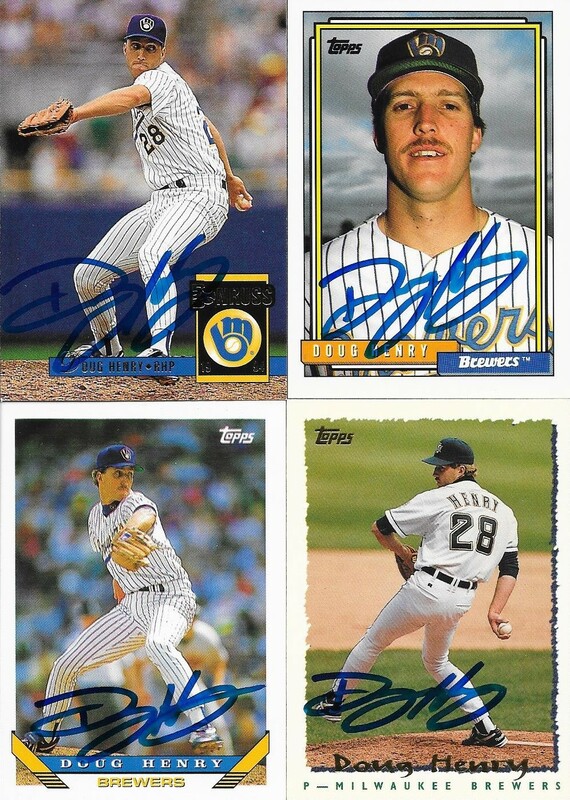 I mailed to Burgmeier on March 20 and got the cards back on April 4, for a 15-day TAT. 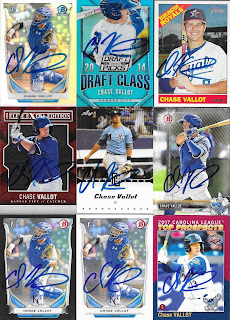 I added a couple cool cards to my album with this success from Joe Fontenot. I have no idea where I found these cards, unless they came in a repack box. Fontenot (b. 1977) played for the Marlins in 1998. he went 0-7 with 24 strike outs and a 6.33 ERA. I mailed to Fontenot on March 20, 2017, and got the cards back on April 3, 2018, for a 379-day TAT. 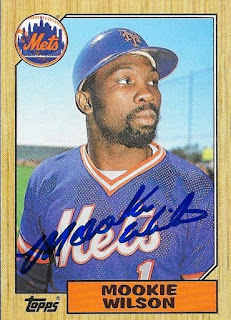 Another private signing helped me add another card to my 1987 set with this success from former Mets World Series hero, Mookie Wilson. He had the hit that went through Bill Buckner's legs and swayed the momentum of the series toward the Mets back in 1986. Wilson (b. 1956) played in the majors from 1980 to 1991 for the Mets and Blue Jays. He had 1,397 hits, 67 home runs and a .274 batting average. He finished 25th in the 1989 AL MVP voting, despite splitting time between the Mets and Blue Jays that season. He won the World Series with the Mets in 1986. I mailed to the private signing on February 23 and got the card back on April 2, for a 38-day TAT. 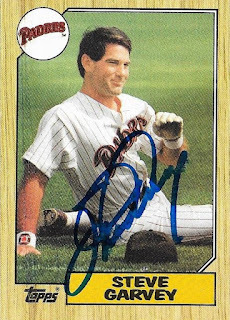 I used another private signing to add some more 1987 Topps to my set. This time, I was able to get Dan Gladden to sign my card. Gladden (b. 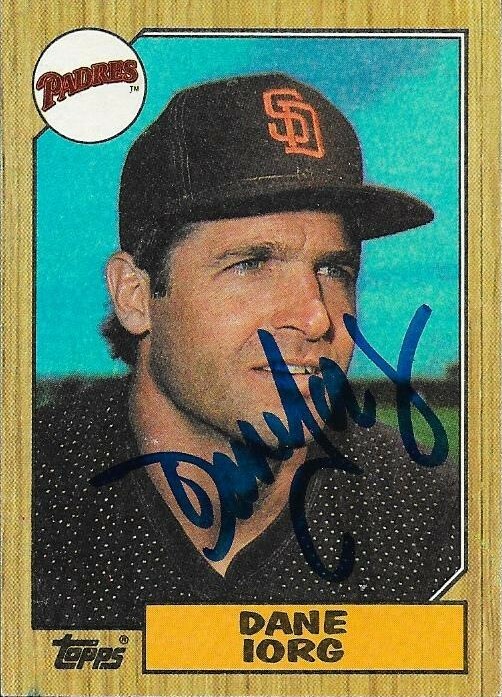 1957) played in the majors from 1983 to 1993 for the Giants, Twins and Tigers. He had 1,215 hits, 74 home runs and a .270 batting average. He won the World Series in 1987 and 1991 with the Twins. I mailed on February 12 and got the card back on April 2, for a 49-day TAT. A while back, I finally was able to get a checklist online of the 1987 Topps set, and started keeping track of who I had, and who I needed. I was really disappointed in the fact that I had maybe 20 or so guys that I had previously sent TTM to, but failed to send a 1987 Topps. One of these guys was Dane Iorg. Upon a second time through the mail, I was able to get Iorg on an 87, which turned out nicely. I also took a few other cards out of my boxes and sent them along. These were 1980, 1981 and 1983 Topps. All look really nice, as well. I still have a good many guys that had previously been sent to, but I need to send again to knock out the '87s. This set has definitely been some work. I mailed to Iorg on March 20 and got the cards back on March 31, for an 11-day TAT. Lots and lots of big names have come in for the 1987 set. 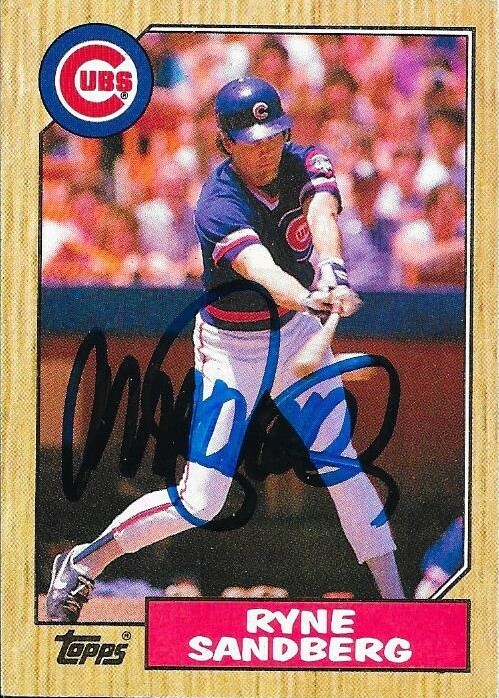 This card should have come back a while ago, but for whatever reason, Ryne Sandberg didn't sign it. So, I re-sent and paid another $5 to him to get it done. I'm glad it is back, because I really am making progress on the set. I have 253 cards for it so far. I'm glad it is coming along, and it has been a really fun process so far. 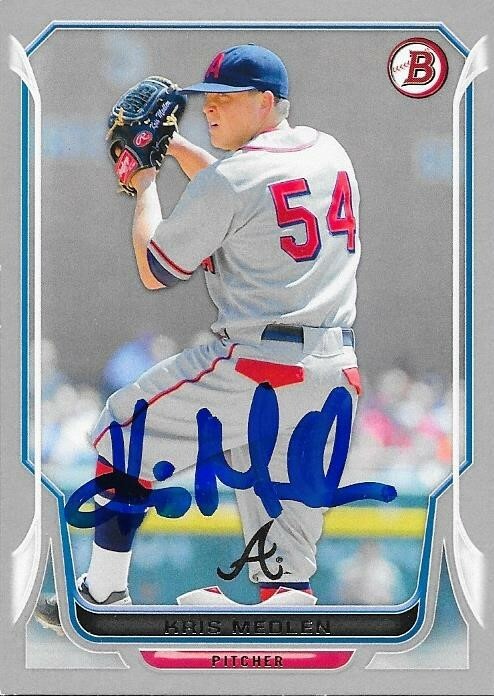 I mailed this card back to Sandberg on March 19 and got the card back on March 31, for a 12-day TAT. I paid another $5. It took a couple tries, but I finally got an 87 Topps back from Dusty Baker. I had sent to him a while back when he was managing the Nationals, but they never came in, then he was fired. Finally, I saw some new successes from a new address, so I sent out just the 87, and here it is. Baker (b, 1949) played in the majors from 1068 to 1986 for the Braves, Dodgers, Giants and A's. He had 1,981 hits, 242 home runs and a .278 batting average. 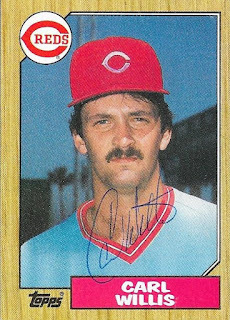 He was an All Star twice (1981 and 1982) and had a best finish in the MVP voting (NL) of 4th in 1980. 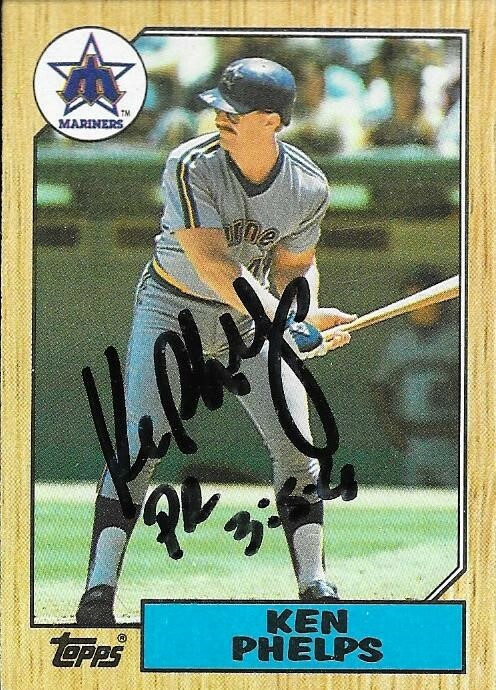 He was also a two-time silver slugger (1980 and 1981). Baker also managed the Giants from 1993 to 2002, where he would leave after taking them to the World Series, then onto the Cubs from 2003 to 2006. He would return to manage in Cincinnati from 2006 to 2013 and then managed the Nationals in 2016 and 2017. His career managerial record is 1,863-1,636 (.532 win %). I mailed to Baker on March 19 and go the card back on March 31, for a 12-day TAT. 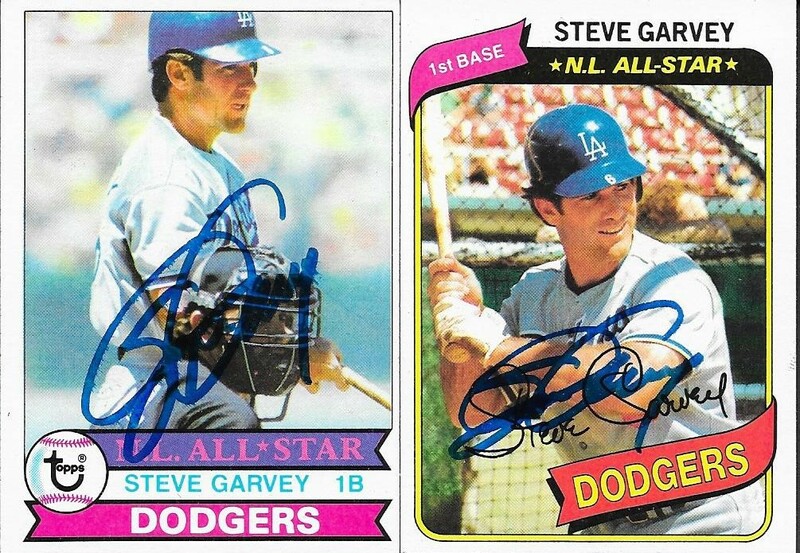 I knocked out another big name for my 1987 Topps set with this success from Steve Garvey. The card came out great! 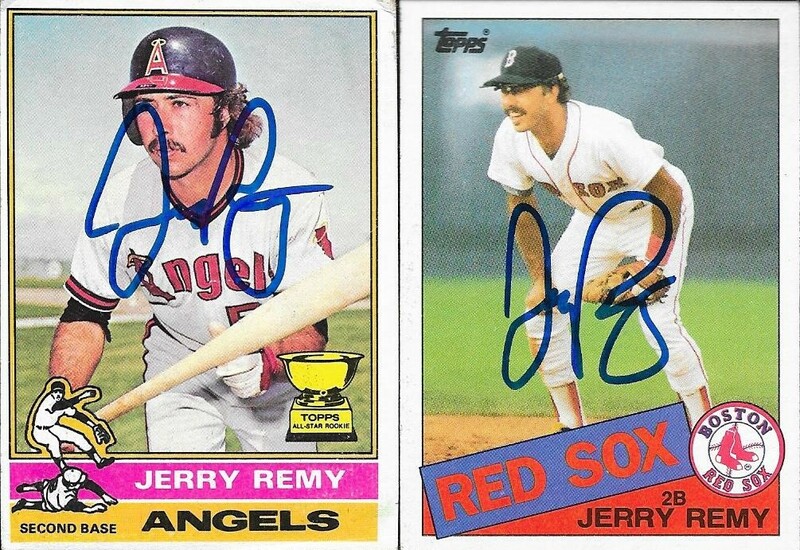 I also added the above 1979 and 1980 Topps with this success. 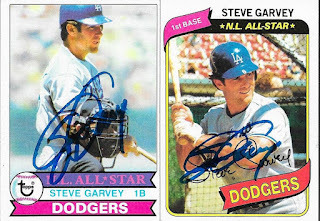 I mailed to Garvey on March 19 and got the cards back on March 31, for a 12-day TAT. I paid his fee of $5/card. 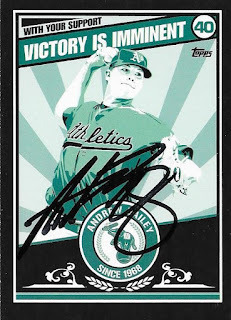 I originally wrote about Garvey here, when I received a TTM success from him in 2012. 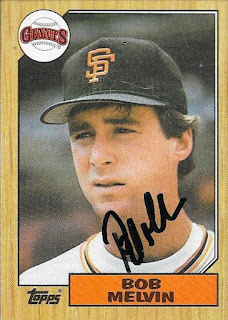 Another card for my 1987 set was taken care of with this success from A's manager, Bob Melvin. The card turned out pretty well. I also added a 1992 and a 2005 Topps. 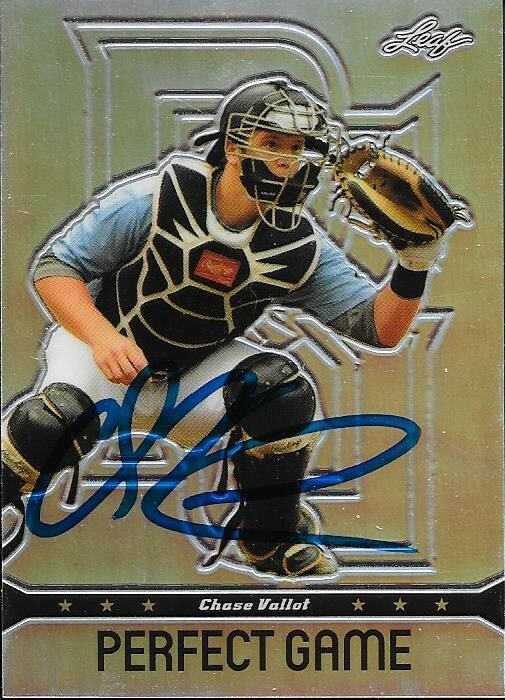 I have hardly any 2005 Topps available to send TTM, so it was nice to add one to the album. Melvin (b. 1961) played in the majors from 1985 to 1994 for the Tigers, Giants, Orioles, Royals, Red Sox, Yankees and White Sox. He had 456 hits, 35 home runs and a .233 batting average. 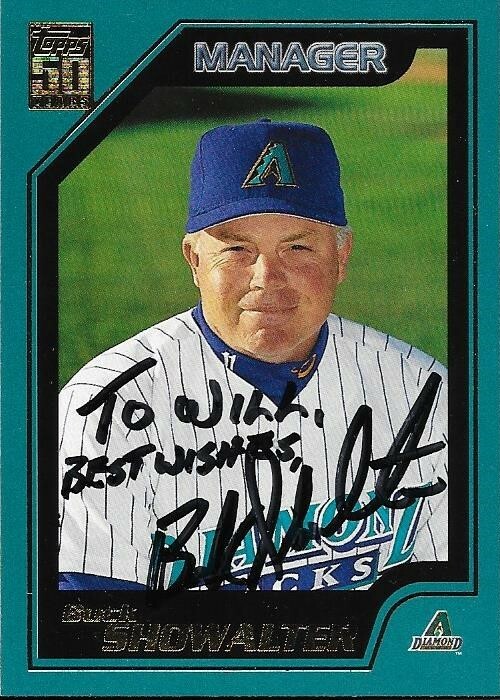 He had managed the Mariners (2003 and 2004), Diamondbacks (2005 to 2009) and A's (2011 to 2018). His career record is 1,061-1,073 (.497 win %). He was the 2007 NL Manager of the Year and 2012 AL Manager of the Year. 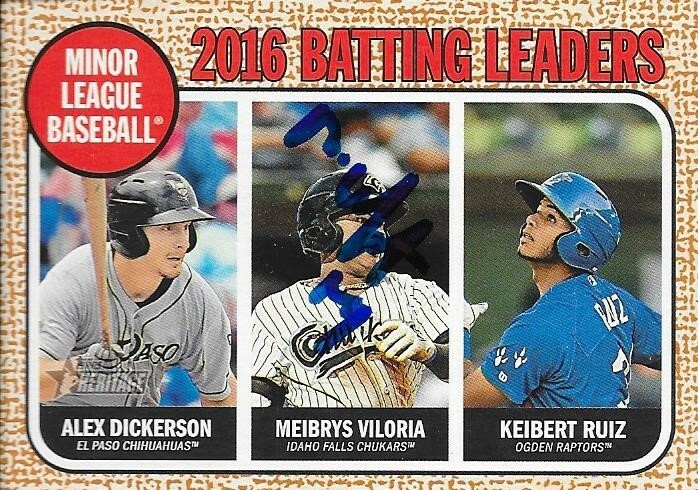 I mailed to Melvin on February 9 via spring training and got the cards back on March 30, for a 49-day TAT. My friend, Jackson (not the one who went with me to Norfolk) goes by the Instagram name, Funinthesungraphs. He recently moved from Chicago to the Phoenix area, and was able to get me a few autos during Spring Training, and thereafter. 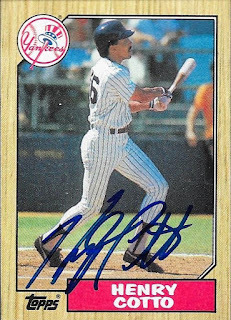 One of the autos he got knocked a card off of my list for 1987 Topps, Henry Cotto. 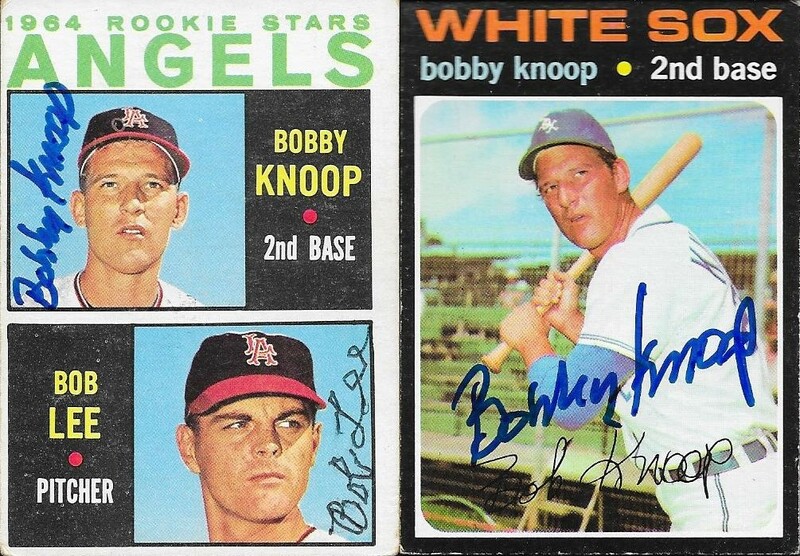 He also asked me to send him any Bobby Knoop that I found, and said he could complete the 1964 Topps Angels Rookie Stars that I had gotten signed by Bob Lee TTM. 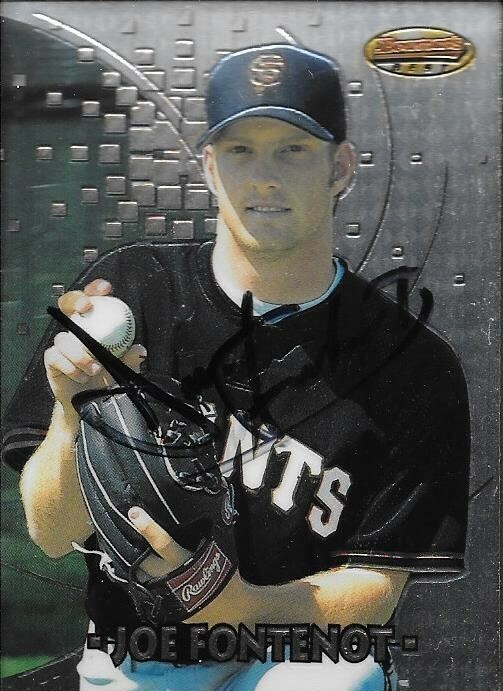 He traded for my Japanese Dennis Sarfate that my good friend Ryan got me a while back. Normally I wouldn't have let the Sarfate go, but Jackson has a Japanese card PC, and has met Sarfate several times. I figured it would be a good thing to do. Jackson also got Alex Lange to sign some cards, when I failed to do so. Finally, he got Corey Ray to sign this Bowman's Best. Ray has moved up to AA, and I can no longer see him with the Carolina Mudcats. Thanks for the autos, Jackson!